I know this isn't the first, nor will it likely be the last time that we throw in a bit of juvenile humor here and there. Sometimes you're just in the mood. Besides, it's worked more than a few times for some other folks, no? 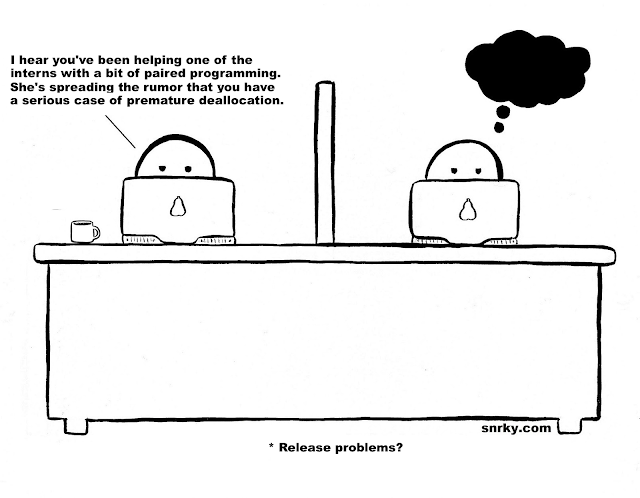 Snarky: I hear you've been helping one of the interns with a bit of paired programming. She's spreading the rumor that you have a serious case of premature deallocations.